For a while, CrossFit has been very popular with younger people. The longer it sticks around, however, its benefits are starting to become very clear for people of all ages – young and old. It can be easy to dismiss something on the basis that you are too old. CrossFit can seem especially unattainable because it has a very intense image – people climbing up ropes and lifting massive amounts of weight. We at CrossFit 2 Serve believe that you are never too young to work at your fitness – just like you are never too old to serve. The following are seven reasons why you should not be afraid to try CrossFit in Henderson, no matter your age. Strength training is foundational to health and wellness. CrossFit features huge benefits for the 50+ crowd because, though it is a diverse fitness program. it focuses on tailored strength training. CrossFit is created around compound, multi-joint movements. No matter where your weakness is, you will be able to safely work on it in a deliberate, systematic, controlled manner. You’ve been through many challenges. You know how to face them; you do not freak out like younger generations without your experience. CrossFit is a place where you can chase personal records and achieve what you did not think was possible. 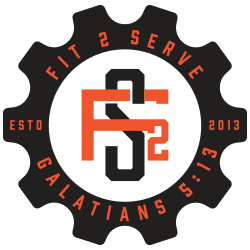 At CrossFit 2 Serve, we are on a mission to help you be everything you can be. As you get stronger and find yourself able to serve more and more people, you will be amazed at the positive momentum you have! Contact us today to learn more!